Welcome to the Everything Kids link & pin party! This linkup is where kid bloggers can share their latest crafts and activities, their family-friendly recipes, and parenting posts. If you’re not a blogger, you can just scroll down to see all the new ideas being shared this week. If you’re linking up for the first time this week, please read all the details about how this hybrid link and pin party works. For summer, we’re each just sharing something from our own blogs, rather than a collage from all three blogs. Unfortunately, summer has gotten the best of me this past week, and I have nothing to show for it here. I’ve been keeping up a little better on instagram, if you want to visit me over there. We’re featuring favorites differently over the summer. Each hostess is choosing her own favorite. So be sure to visit my co-hostesses to see if you were chosen over there! 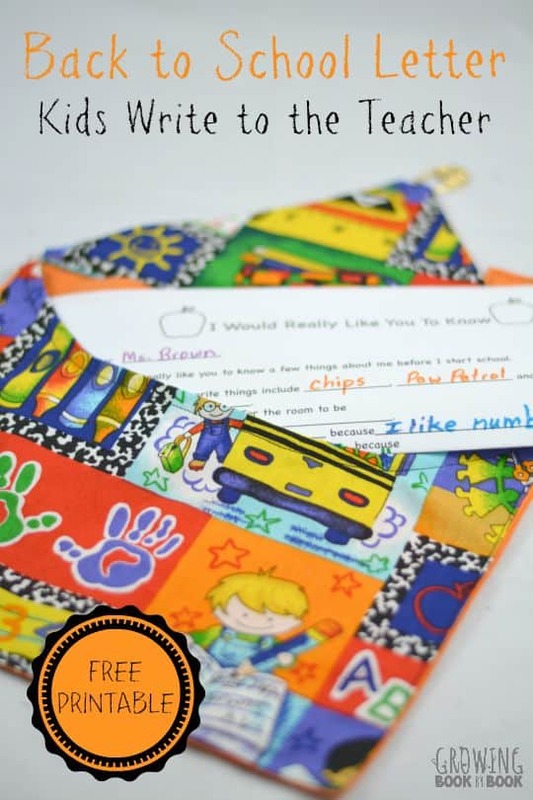 My favorite this week is this free printable back-to-school letter from Growing Book by Book. Isn’t it a great idea! If you were featured, grab a badge and attach to your post with pride. Your post is loved!! We’ll pin most posts that have a vertical, pinnable image. We won’t be pinning homeschool printable packs, or anything religious or political, but you’re welcome to share them on the linkup. Re-pin 3 pins from the Everything Kids Pinterest board featured in this post (required). It’s best to do this right away. If that’s not possible, please come back and repin no later than Wed. night. Please follow your hostesses on social media. By entering your link, you are giving us permission to feature an image on our blogs and social media. Proper credit will always be given. The pinnable posts from last week’s party are ready and waiting for your re-pins this week. Please go now and repin your favorite 3. Be sure to come back to next week’s party so you can join in on repinning this weeks’s linkups! Re-pin your favorites on the Everything Kids board on Pinterest.